The Potomac Valley Radio Club - A world-class amateur radio contesting club, is represented by two chapters in North Carolina and extends as far north as Pennsylvania and Delaware. WA1RR - CTRI is made up of active, enthusiastic hams whose love of contesting, DXing and socializing. California QSO Party - The California QSO Party (CQP) is the premier state QSO party held every year on the first weekend of October. The Northern California Contest Club (NCCC) has sponsored CQP since 1974. MA QSO Party - The contest takes place the first full weekend of May (from 1800Z on Saturday May 5 to 0400Z Sunday May 6, and from 1100Z to 2100Z Sunday May 6). A total of 20 hours contesting! The Florida QSO Party - FQP, FLQP - The florida qso party, sponsored by the florida contest group, takes place the 4th full weekend in april. Cabrillo Web Forms - Use these forms to manually enter log data to produce a Cabrillo file and submit it to a contest sponsor. The forms are designed for contesters who used paper logging or logging software that doesn't produce a Cabrillo file. K8ND SO2R Resources - Ideas and notes on designing a SO2R radio shack room. Includes lots of radio shack pictures used by K8ND as ideas to plan his new radio shack, with contesting in mind. All Time CQ WW Records - On these pages are presented the records for the CQ WW contest for every country that has ever entered a CQ WW. The Society of Midwest Contesters - TheSociety of Midwest Contesters formed early in 1985 with the goal of uniting Midwest contesters into a competitive group and to further the idea of radiosporting in the Midwest. 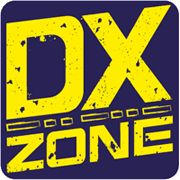 The Texas DX Society - The Texas DX Society is an organization of radio amateurs in Houston, Texas who have a primary interest in DX chasing and contest operating on HF, VHF, and UHF. Contest Log Converter - Contest Log Converter it's a Windows program that allow to convert data file between the most used Contest Log. The program allow you to convert 12 different type of contest, selected from the common contest managed from the Contest Log program. The follow program ,CT by K1EA, TR by N6TR and NA by K8CC are full supported with the conversion of the most famous world contests.